We’re so excited to announce the launch of Mooi Studio, a makeup, skin and beauty studio based in Denver, Colorado! We’ve been hard at work preparing for the launch of our studio and can’t wait to share it with you. Mooi Studio will offer a variety of skincare and makeup services, including wedding makeup, date night and photo-ready makeup applications, lessons, specialized express skincare treatments and more. 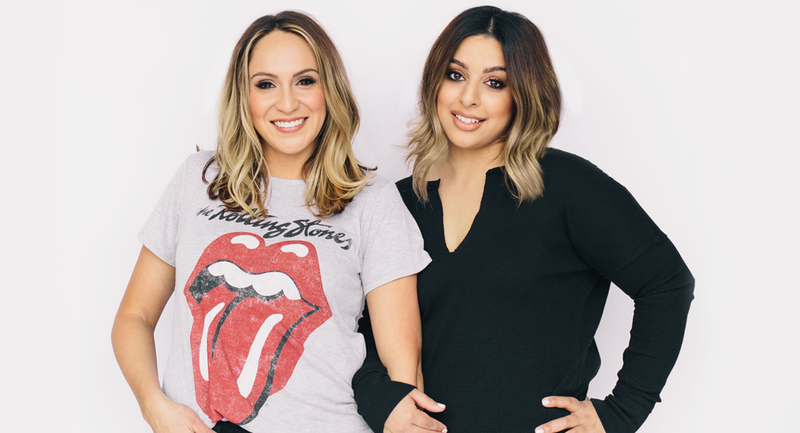 Founders Raquel Turner and Ahmana Aryan are passionate about making women feel beautiful, and this passion is what has allowed them to partner and turn their dream of opening a makeup studio into a reality! Raquel and Ahmana met seven years ago working at MAC and then transitioned to NARS. From there, the rest is history! They love the energy that comes with working together, and share very similar, yet unique styles. Also known as the dynamic duo, these two have joined forces to launch Mooi Studio where they will specialize in makeup and skincare as well as cosmetic retail. The vision for Mooi is to become a place for women to gather, relax, and enjoy one another’s company during a beauty service. Raquel Turner is a licensed esthetician with years of professional experience to support her talent in the beauty industry. She has based her philosophy on helping people feel beautiful and at their best while creating true and lasting connections. From styled photo shoots, to brides and special events, Raquel specializes in everything from the soft and natural to the bold and dramatic. She’s a trusted expert in the beauty and skincare industry and goes beyond service to educate clients for a lifestyle of beauty and health. As a makeup artist and licensed esthetician with 13+ years of experience, Ahmana Aryan is passionate about all things beauty. Her experiences working with top brands like MAC and NARS, along with her insight into what products are needed to create beautiful skin and makeup, sets her apart as a leading beauty professional. Ahmana loves connecting with her clients to help them feel confident and beautiful in their own skin. She’s done makeup for celebrities, various magazines, brands, brides and her personal clients. Here on Mooi’s blog, ‘Behind the Brush,’ you can expect to learn about all of Raquel and Ahmana’s favorite products and expert tips and tricks. To keep up with all things Mooi, be sure to follow us on Instagram!